Do you feel that your router is slowing down your internet connection? Then you should have a look at Netgear Nighthawk X10, which is the fastest router on the market for personal use. The price tag is high though so speed better be important to you in case you decide to buy this router. 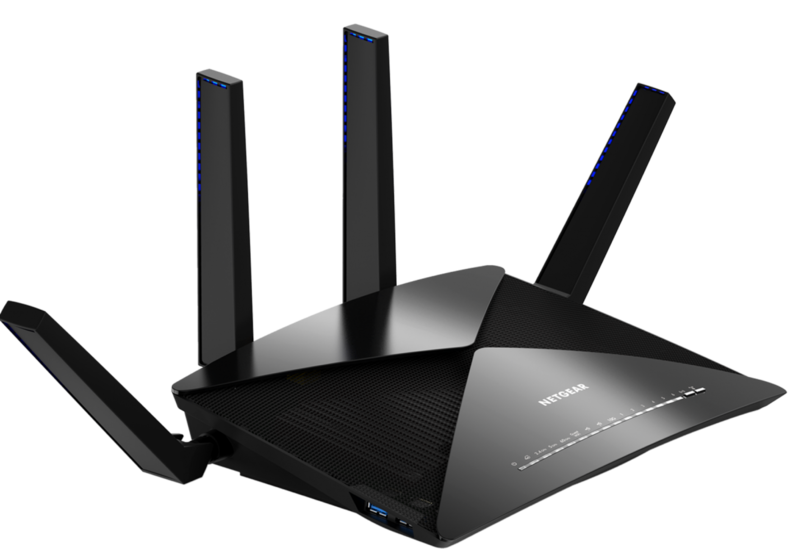 Netgear Nighthawk X10 is a beast and based on the latest Wifi standard 802.11ad. It reaches a mind-boggling maximum transfer speed of 7.2 Gb/s when all Wifi channels are in use. Nighthawk X10 has two USB 3.0 ports, seven ethernet ports, and four external antennas. The antennas display a blue light that can be turned off by a switch located at the back of the router. A total of 20 devices can be connected. A powerful quad-core processor running at 1.7 GHz powers Nighthawk X10. When does it make sense to invest in a high-performing router? Netgear touts that Nighthawk X10 is suitable for VR-gaming and content streamed in 4K format. It also excels when backing up large files. For example, a 3 GB file is backed-up in only 8 seconds. Netgear has developed an app that facilitates the install process. Hence, a laptop or desktop isn’t needed to initiate the process. You just need to download the app, find and connect to the router and finally install. The price is US$500, which converts to about NZ$800 inclusive of GST. This is a significantly higher price compared to the predecessor Netgear Nighthawk X8 that currently retails for NZ$599. Netgear hasn’t communicated a release date yet for New Zealand. The website still displays “coming soon“.